You receive an urgent business call or voice mail on your laptop at a coffeehouse. Your firm is located in North Carolina but has a phone number with New York area code. Such possibilities are the gift of VoIP and Cloud Technology. Stay connected to your business on the road or in a cafe. VoIP’s useful features and traits not only offer a convenient business living but also, enhances productivity in business. External Reference: VoIP wiki page. The world of VoIP technology generates wealth of options for SMBs. VoIP services enable your phone calls to ride over the internet as data, similar to an email process. Such features lead to telecommunication cost reduction drastically. This is leading to phase out of traditional business phone systems. Small businesses no longer need to pay heavy price for telephone systems that render abundant of features, like conference calling, voicemail, auto-attendants and company directories. VoIP phone systems have transformed the business communication, leading to eradication of traditional telephone systems. VoIP technology, colloquially well-known as Internet telephony continues to gain popularity and takes the leap because of benefits and services unequaled by conventional phone technology. This new trend of technology is still unknown to many of us. In 1995, with the launch of first popular Internet phone, Vocal Tec, the arena of VoIP technology has been widening. With the enhancement in VoIP technology there has been rise of VoIP phones, VoIP mobile apps, and Mikogi offers you VoIP functionality in several web applications. The response of CEO Alexa on VoIP software revealed the successful establishment of VoIP services in SMBs. She informed that its easy-to-use features and cutting-edge functionalities make it a best fit to the needs of small businesses and VoIP features are flexible enough to answer the requirements and changes of small business. Recommended Reading: How Businesses Are Flourishing With VoIP?. Maximize Productivity. Build Customer Reliability. Strengthen your Business Communication. Easy to install and upgrade VoIP software offer multi-functionalities. Its exclusive ability to blend several forms of telecommunication functionalities into one packet which can manage data, audio, E-mail, video and web-based features simultaneously make it a must-have telephone system that should be integrated into the arsenal of communication tools. 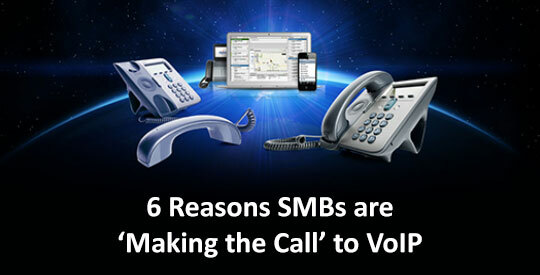 VoIP’s flexible features have made it possible to make its way from large to small businesses. It is no longer restricted to large enterprises. Voice mail messages can be received as an email attachment and through any of the leading media player software sound file can be played back. Email with the attachment can also be forwarded to another person and they can too hear the call, or future reference it can be saved on PC’s hard drive. Based on your pre-defined criteria set-up the phone rings. Particular phone ring can be set specific to each person depending upon the pre-defined criteria and know when a particular person calls such as clients or internal calls. You can create a virtual presence in different locations, i.e. profitable for business. Virtual numbers can be routed to any specified number. This makes your local number accessible in multiple locations. For instance; you can have access numbers in Las Vegas, New York and California all directing through local number in Florida. This way you can make toll-free calls at international destinations. And no-one can’t even understand the difference. In order to figure out company’s consumption of time and energy, tracking data forms an essential part. Cloud-based VoIP phone services can give bandwidth consumed data that makes it possible to view data consumption over a period of time. Call reports provide the details of company’s call logs, comprising duration, destination, centers, originator, and cost. A pool of callers can be set-up with rules applicable. For instance; except for the members of the group your caller I.D. can be blocked to everyone you call, or for the complete group selective call forwarding can be implemented so that calls from group members can be forwarded to alternate number. This proves to be very beneficial while making an internal communication. A menu to choose the desired extension makes it possible to interact with the required person. 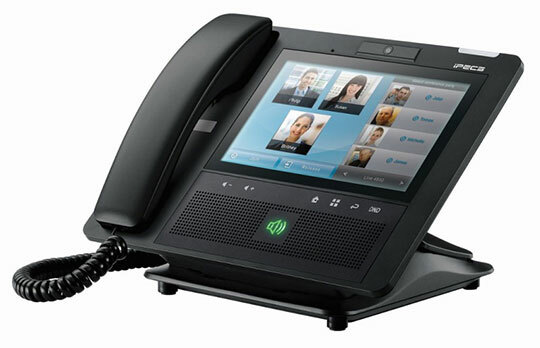 This one of the exclusive feature of VoIP makes business appearance more impressive and professional. It is similar to having an auto attendant or automated receptionist. The quality of VoIP Systems has evolved to a great extent that allows receiving and making calls with feature-rich IP phones. The cost linked with the employee move from one location to another, new hiring, – which costs up to $150 or more per occurrence – are virtually wiped out. Besides, just talk on the laptop, increased productivity it has much more to offer. So, let your business take the leap with VoIP Technology. Recommended Reading: How to Choose the Right VoIP Service Provider. This article is written by Shraddha Tewari. She is a skilled and accomplished R&D Executive and Editor possesses diverse professional experience in developing creative and technology oriented content and is formally associated with AcecloudHosting and TheRealPBX. She keeps a strong interest in reading and writing about technology, cloud computing and latest software developments. Follow her on Twitter. Some of my customers facing the problems like wrong directions, misleading phone locations but with the using of Avatar Dialler VoIP system, problems looks like resolve automatically.